Newer facility with outside access and climate control units. 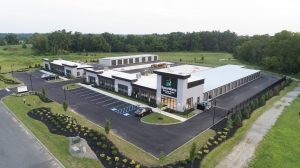 Still expanding with 79 more units expected in early April. We're expanding our climate control units with lots of options and 10 x 25 available! Also adding 5 x 5 with outside access and many more size options with outside access. If you'd like to be first in these units call and ad your name we'll be glad to contact you when their ready to be filled. Great rates and excellent customer service! The facility is great and secure. Customer service is amazing. The facility is very helpful. It's in a good location, is very secure, and has 24/7 access. PERFECT for small business owners. Beautiful, clean, and staff is awesome! 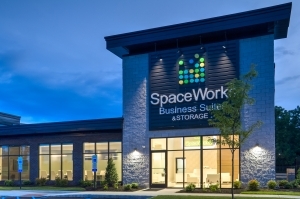 I am thrilled I moved my business to SpaceWorks. 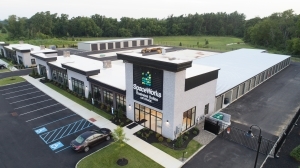 As the owner of an online e-commerce business, I needed a facility where I could send and receive shipments, but also have an office space to work. And this fit the bill for me perfectly. 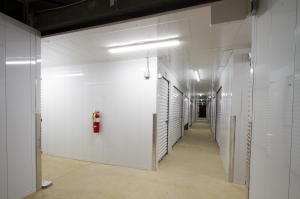 I have 2 storage units with easy access for shippers to pick-up and deliver my packages. I also leased an office, where I print my shipping labels and handle administrative tasks. Also, I have access to a massive conference room, tech room and kitchen. The staff is super friendly and helpful. If I run into an issue when I'm not there, they are always happy to help. If you need space to hold a meeting with 1 person or 20 people, the accommodations are large and beautiful. I highly recommend this to anyone looking to get out of their home office. No more boxes in my garage and making business phone calls around my screaming kids. It's a perfect solution for small business owners. Well run business with excellent customer service.